Will’s message of peace has changed many lives. Everyone is welcome — hope to see you at this Birmingham Vegans event! 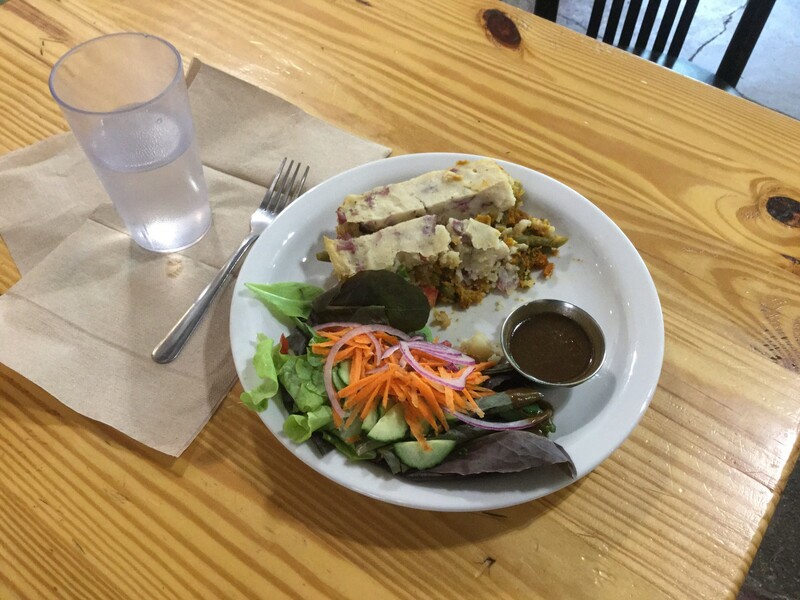 Vegan Shepherd’s Pie at Sentient Bean in Savannah. Garlic, onions, carrots, turmeric, sweet potatoes, beans, peas, acorn squash, lentils, veg stock and tempeh. Topped with mashed red potatoes and served with a side salad. I’ve overnighted dozens of times in Starbuck’s parking lots with permission, but I’ve never had anything like this happen. I had worked on my computer until closing time the night before at a Starbucks just outside of Sarasota. Even though I wasn’t that impressed with Fort Myers, I still enjoyed the few days I stayed there. The roads were bicycle friendly, so I parked a few miles away and visited the beaches by bicycle. 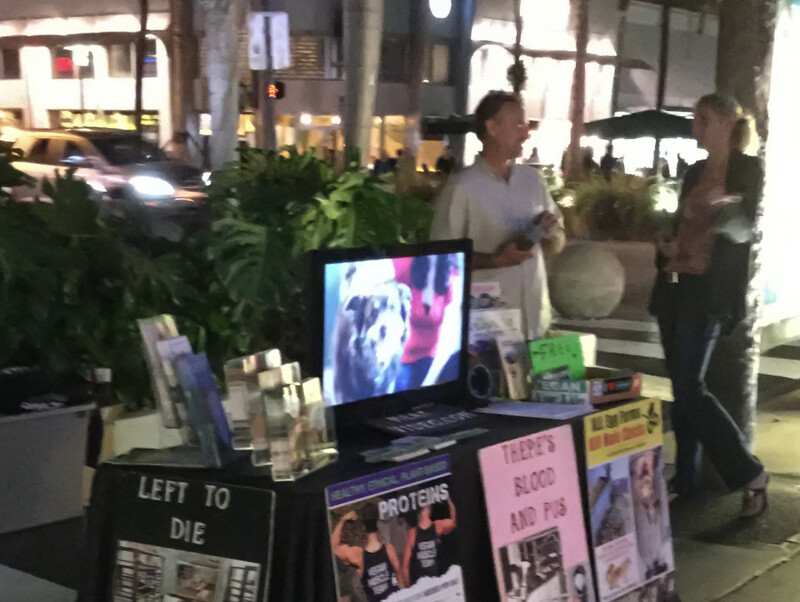 I finally got to meet Yuri , and I helped with leafleting on a most interesting street corner at Lincoln Rd & Meridian on South Beach. 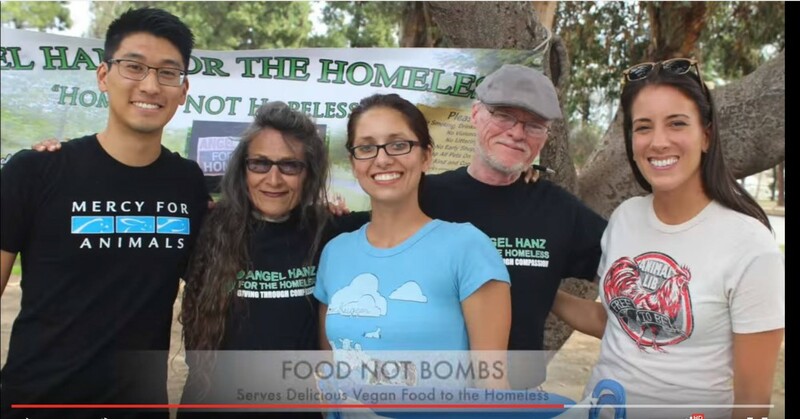 It’s a joint effort by Vegan Outreach, Compassion Over Killing, and Mercy for Animals, with some dedicated friends, Linda Cozat and Jennifer Mennuti. See this Facebook post for Facebook Comments. I started at Hollywood Beach and pedalled until land ran out at South Pointe Park Pier. I stayed as close to the beachs as possible, but had to get on A1A for some of the ride. This took me through Hallandale, Haulover Beach, Golden Beach, Aventura, Sunny Isles Beach, North Miami Beach, Bay Harbour Islands, Surfside, South Beach, and South Pointe Pier. I took a few pictures along the way. 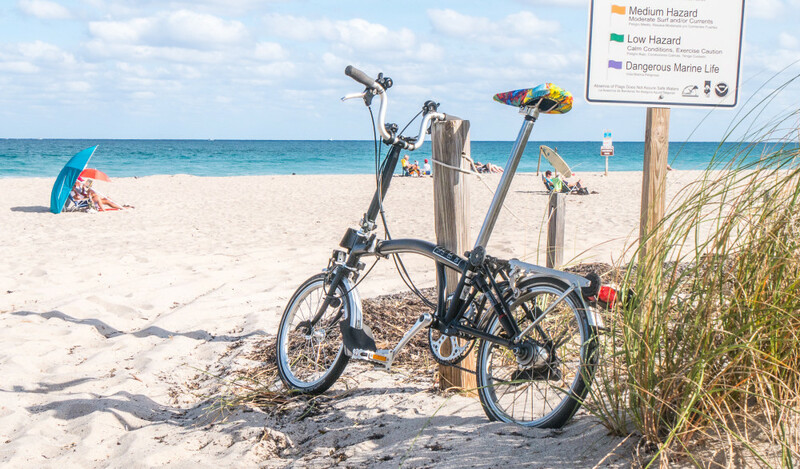 I love exploring beaches and parks on the Brompton. I can park the Roadtrek van at a shopping center a few miles out and ride in. No parking hassles. 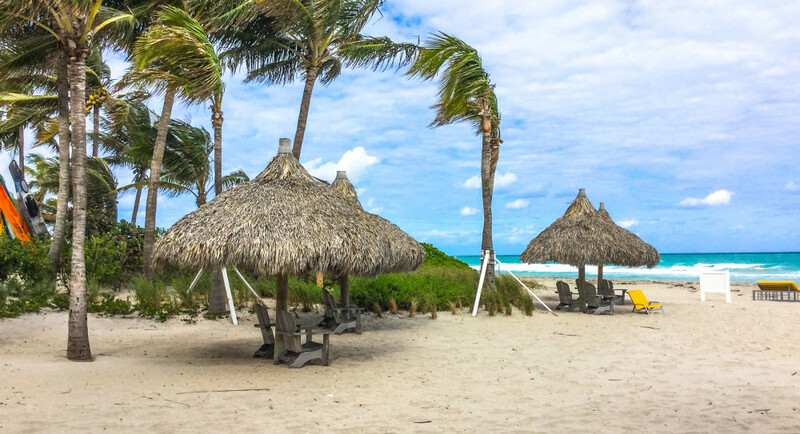 These 18 pictures are from Hollywood Beach, Dania Beach, John D. MacArthur Beach State Park, and North Miami Beach. Last year I posted a few words and pictures about this wonderful park. It was just as nice this year when I visited. Here’s a few photos I took on this year’s visit.